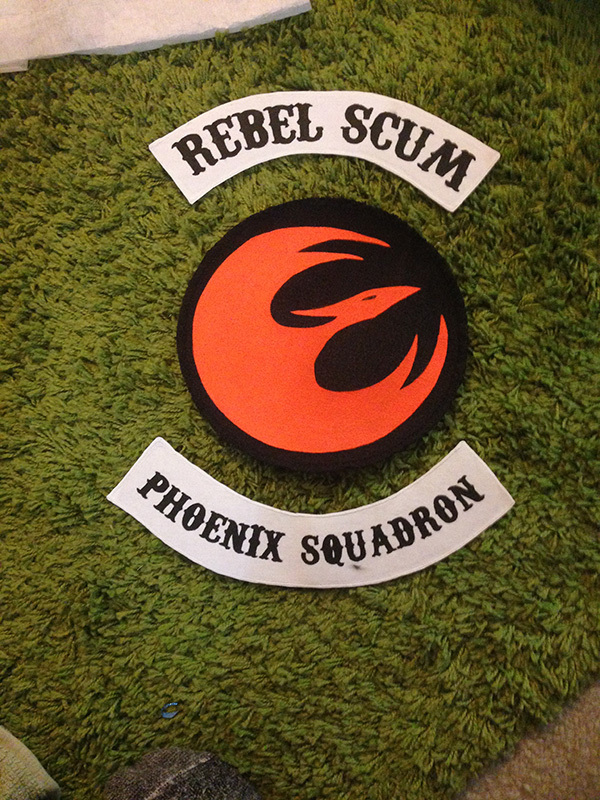 A little bit of history: Sabine Wren, a Mandalorian member of the Ghost Crew (and later Phoenix Squadron), is an artist who frequently graffitis her Starbird on Imperial property as an act of quiet rebellion against the Galactic Empire. 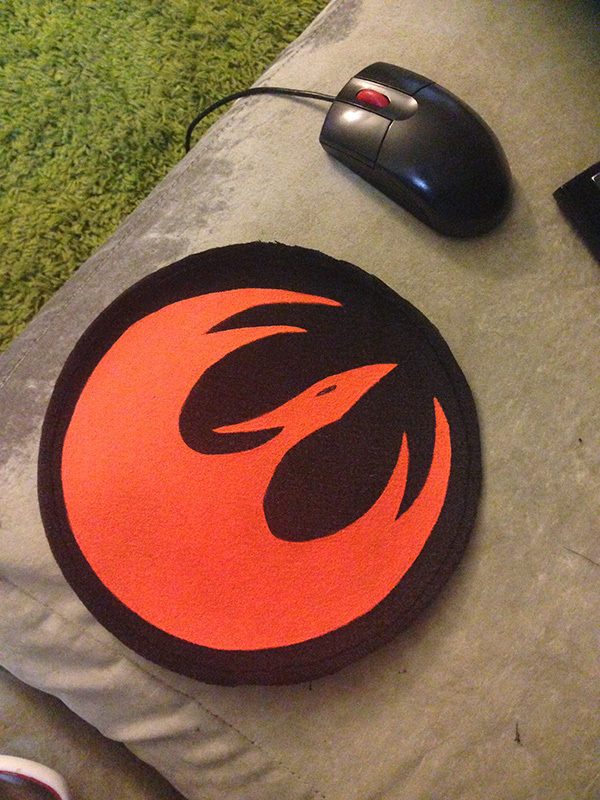 In some versions of Star Wars history (“canon” vs. “legends/extended universe”), her Starbird is the precursor to the symbol now used by the Rebel Alliance as seen in the original films, as well as the newer films. A friend of mine attended Star Wars Celebration Orlando this year and I was tasked with creating something for her to wear that, while not a costume proper, would still follow the theme of the celebration and allow her to embrace her nerdery. 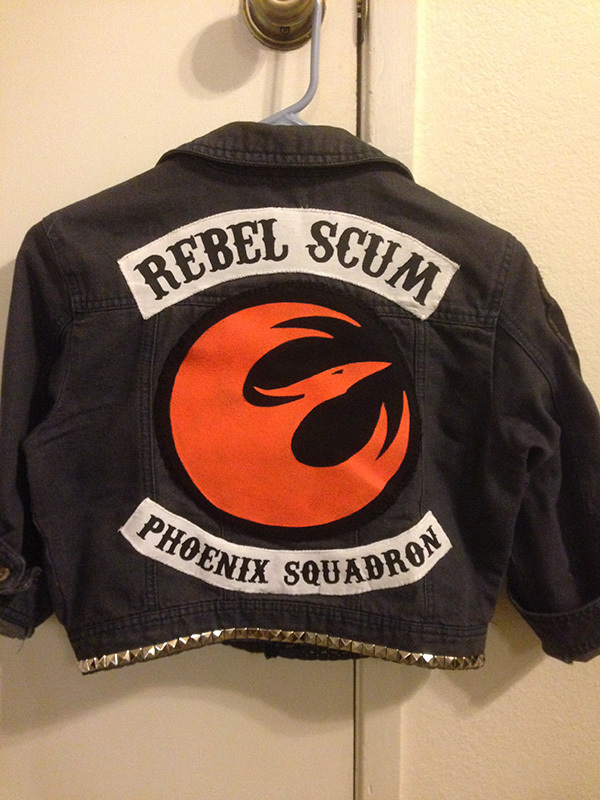 We went with a “Rebel Girl Gang” theme using references to the animated series Star Wars Rebels and decided on a biker-gang type jacket. I actually ended up creating another set of these for myself to wear at Fanime, and so the “completed jacket” look is of my own jacket rather than hers. These sew-on patches were made from whatever fabric I had laying around (the Starbird is on denim, and the rockers are on cotton), using acrylic paint. The Starbird was painted with Golden High Flow acrylic paint in Fluorescent Orange, and the rockers were painted with Cheep acrylic in Lamp Black.